Like pretty much every kid these days, my kids love to watch YouTube. Over a period of time, they have found their favourites. Getting books and merchandise from their favourites for Christmas and birthdays. It’s huge, they are celebrities just as much as pop stars and film stars these days. We have even been to see a YouTuber at the theatre. The boys loved it. So when I heard, about Digital Kids Show, I knew it would be worth the trip down to Manchester to see this November. So what is TDigital Kids Show? Well, it has a fantastic line up of YouTubers. Diversity will be there to show off their dance moves. You will be able to see and possibly try out some of the most awesome tech toys, family games to play and lots of fun family activities. There is also a chance to see some of your favourite TV and YouTube stars like Amy Lee, Oli White, Ali-A, Beau’s Toy Farm, Diversity and more in the live show. There are six different zones within Digital Kids Show. 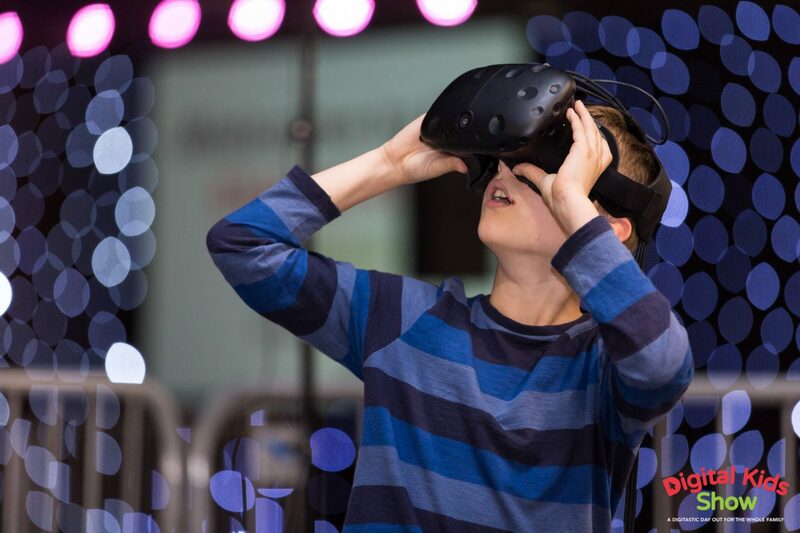 Make It – This is where you can try some of the latest tech toys that encourage kids to get coding or learn new digital skills. Secure It – The where the whole family can learn about online safety from experts and devices. Having just blogged about this, this week, this is something I can keen to improve my knowledge on. Keeping Kids Safe Online is an important subject. Move It – This is where you can combine digital and physical skills. Play It – Where you will have a chance play the latest family games, try out some Virtual Reality and various toys. Watch It – This is where you can watch and find out about the latest free and paid subscription online content. Live Shows – And the best bit, you can see and hopefully meet a whole host of YouTubers and live-acts perform. For everything you get included, I think the price of the ticket is very reasonable. Standard ticket costs £25 each plus booking fee. The family ticket which is good value and covers 4 people is £85 plus booking fee. The ticket includes all activities, stage shows and more. I can offer my followers a 10% discount with my discount code SUSAN10. Enter in the box when you order online at Digital Kids Show. How brilliant does that all sound! Plus you will be the coolest parents on the planet! 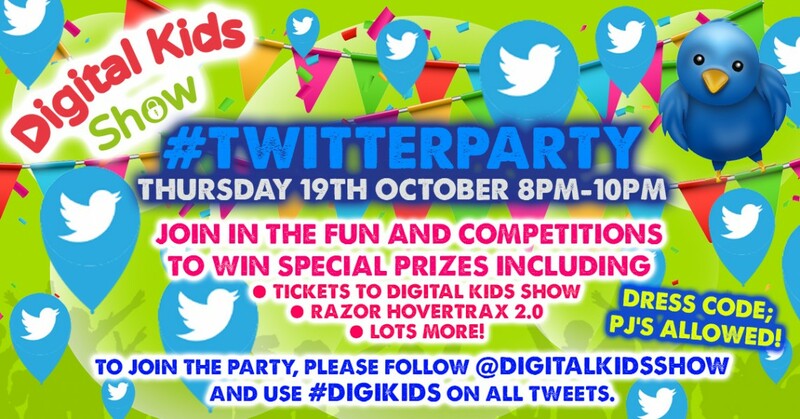 Do come join the Digital Kids Show Twitter party on Thursday 19th October between 8pm-10pm! There are amazing prizes to be won including a Razor Hovertrax2 hoverboard, Xbox games and much more! See you there! Disclaimer:- I have been given a family ticket to Digital Kids Show and cannot wait. I am happy to do a preview post to let you know all about it.